First, this week is the annual Dining Out issue. You really should not look at all the delicious photos on an empty stomach. We’ve also got a story about the opening of Nothing Bundt Cakes on the South Hill. So many places are opening! Geno’s is now open, and Webster’s Ranch House Saloon is opening tomorrow. The Boiler Room up north isn’t quite ready for guests, but they’re making progress. If you missed it at the tail end of last week, Brain Freeze Creamery is going to be setting up shop in Kendall Yards (directly across the street from Inlander HQ). Is South Perry Pizza changing owners? SpoCOOL chased down the rumor and found evidence that it probably is. Linnie’s Thai is starting new after-hours lounge nights. A new distillery in town, Evanson Handcrafted Distilling LLC, is hosting a grand opening on Saturday. They’re producing vodka, and will also have single-malt whiskey once the federal government is back up and running to give final approval. Nordic Smoke BBQ will be around if you’re hungry. This week’s Entree newsletter has news of other Inland Northwest distilleries opening soon. This week’s issue has a collection of local beer news, including the fact that Orlison finally has actual cans at the brewery and No-Li is releasing a new series that kicks off with their Winter Warmer. You can see what all the breweries are pouring with the GABF app. Beer news this weekend is focused on Denver, where the 2013 Great American Beer Festival is taking place. 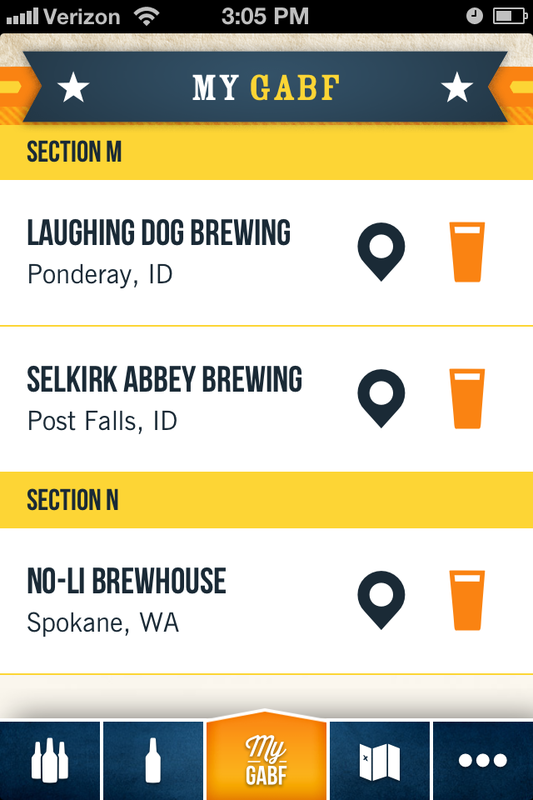 It’s sold out (and far away), but you can play along with the festival app, which lists the beers being poured by each brewery. Both Selkirk Abbey and Laughing Dog are participating in the Pro-Am Competition, in which professional breweries produce beers based on homebrew recipes. In the general competition, No-Li’s Crystal Bitter took home gold in the ESB category last year. While breweries are in Colorado, Dry Fly is also out of town for the 16th annual WhiskyFest in New York. And, finally, a note about the new Inlander website — by the way, how do you like it? One of the best things is that the new restaurant listings are much easier to use and search. One of the worst things is that this much-improved functionality also makes it easier to find out just how inconsistently the listings database has been maintained over the years. One glitch was that anything without a specific place category imported as a “general restaurant,” which is why you’re seeing some random schools and community centers come up as restaurants. We’re resolving that. But, I’m sure there are also places that closed or moved long ago, and if you encounter any of those please send let me a note at lisaw@inlander.com.